Adequate amounts and proper balance of vitamin, minerals and nutrients are needed not only for maintaining good health, but also for optimum functioning of the body’s various systems, including the immune and muscular systems. 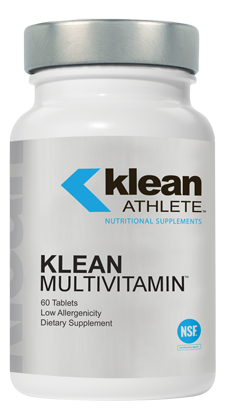 Klean Multivitamin has been carefully developed to contain the right proportions of vitamins, minerals, trace elements, and other nutrients without danger of toxic build-up or other side effects. Each ingredient is selected in consideration of its absorbability, competitive relationship with other nutrients, allergenic potential, and long-term safety. Certain nutrients such as beta-carotene, vitamin D, and B-complex vitamins are included in high-potency amounts because of the vital roles they play in antioxidant protection, energy production, the maintenance of healthy blood cells, the nervous system, hormonal balance, and more. Minerals and trace elements are provided in their safest and most bioavailable forms. 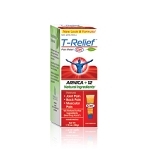 Activated B vitamins are methylated to ensure proper utilization by the body. Klean Multivitamin is tested and certified by the NSF Certified for Sport® Program, which was created to meet the growing demands of athletes, coaches and healthcare professionals to certify that sports supplements are safe and completely free from banned substances. Every product that carries the NSF® mark has undergone stringent laboratory testing to confirm content, purity and compliance. 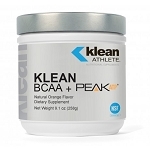 Klean Multivitamin tablets are indicated as a dietary supplement for athletes who wish to consume the essential nutrients for optimal health and aging. Other ingredients: Cellulose, croscarmellose sodium, steric acid, hydroxypropylcellulose, silica, titanium dioxide, dextrose, magnesium silicate, glycerin, natural caramel color, natural vanilla flavor. Adults take 2 tablets daily with food or as directed. Hughes DA. Proc Nutr Soc 1999;58:79-84. Izet M. Kapetanovic, Miguel Muzzio, Zhihua Huang, Thomas N. Thompson, David L. McCormick. Cancer Chemother Pharmacol. 2010. Nov 30. Machefer,G.et.al. J Am Coll Nutr. 2007 Apr;26(2):111-20. Tauler,P.et.al. Eur J Nutr. 2006 Jun;45(4):187-95. Epub 2005 Dec 22.